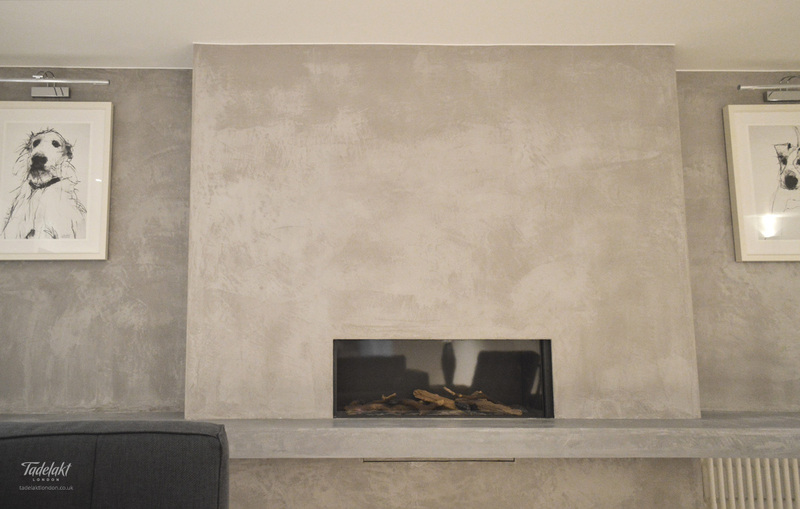 A soft grey feature wall, with fireplace facing and full length bench, illustrates the eye-catching marble-like finish that Tadelakt provides. 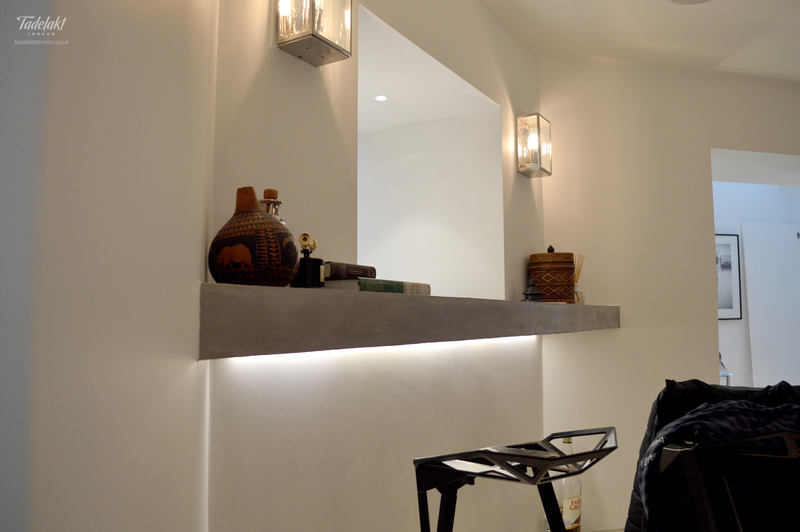 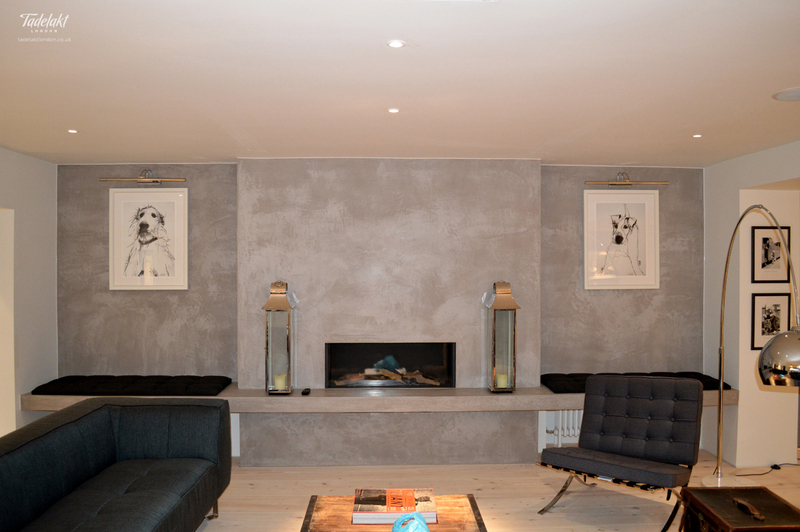 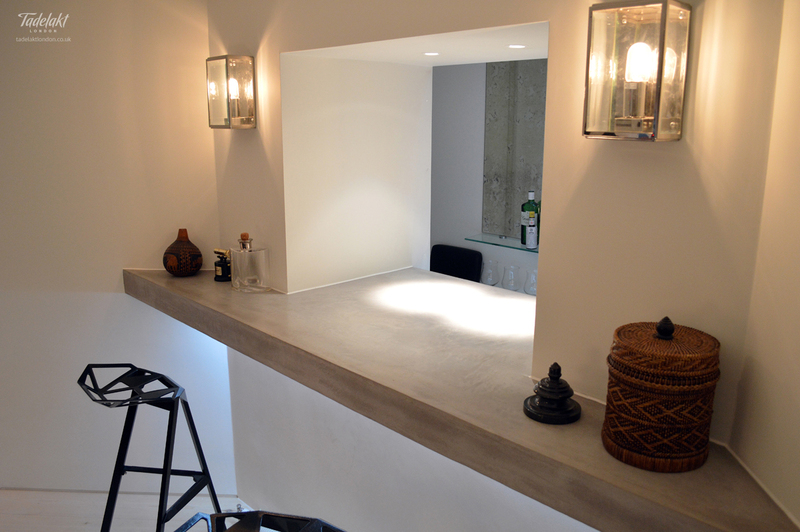 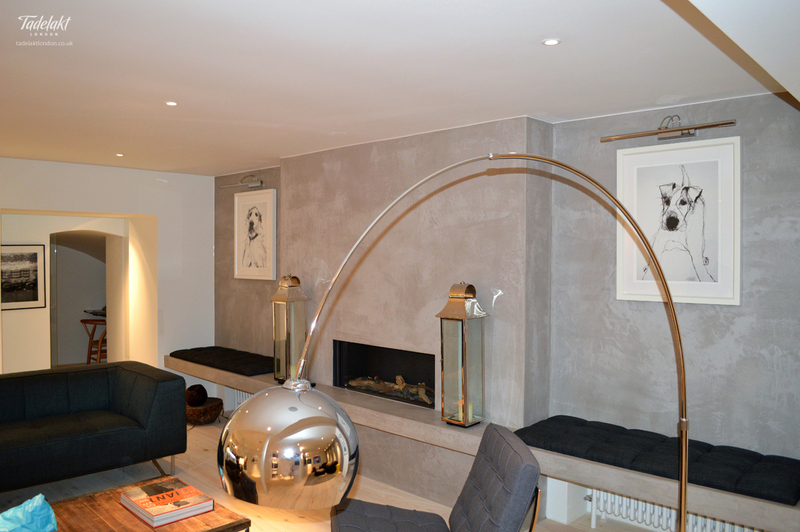 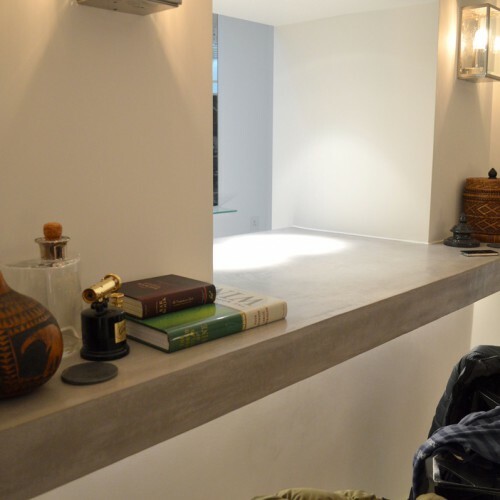 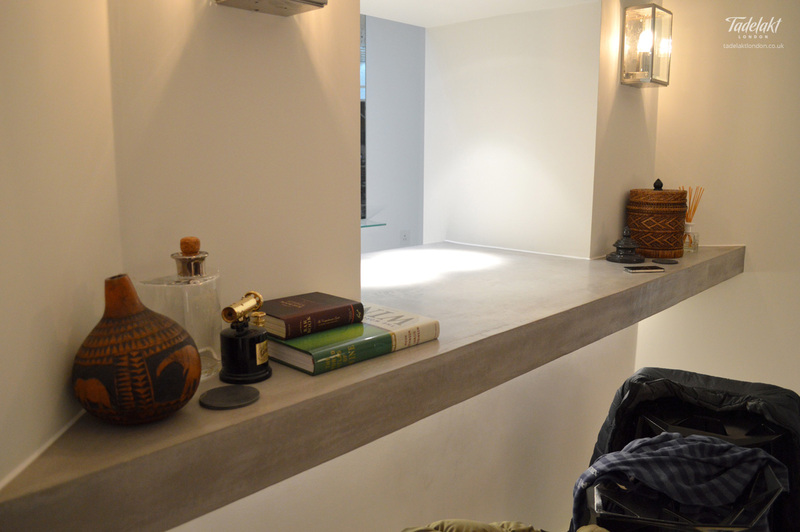 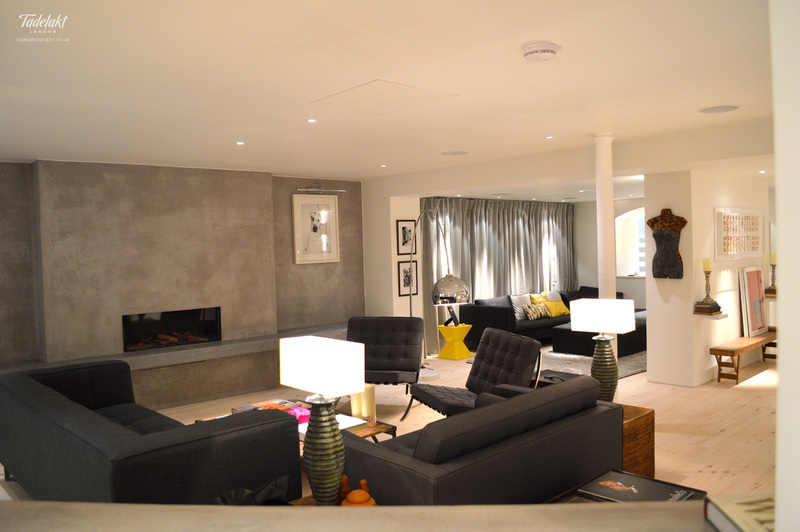 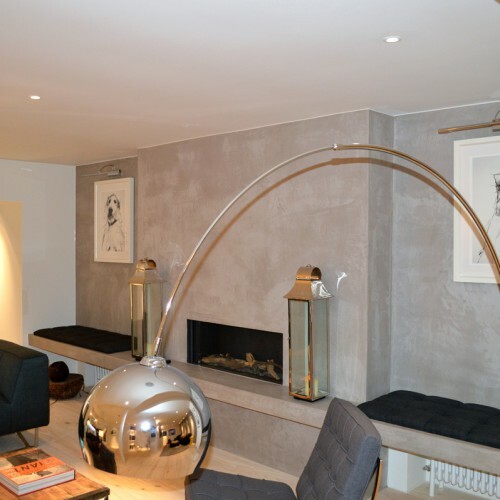 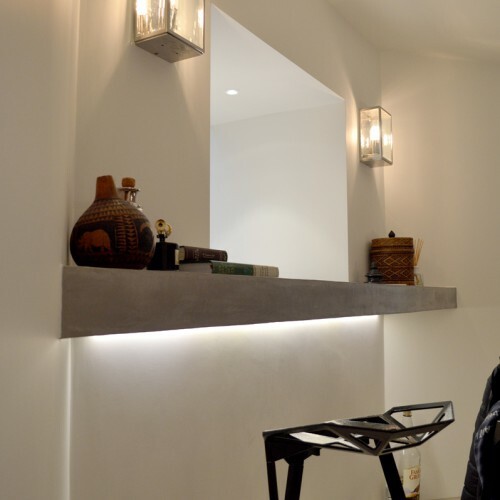 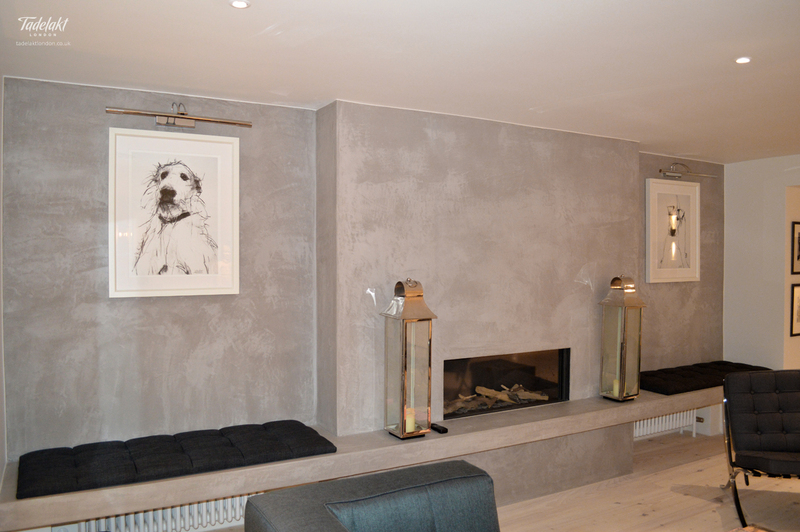 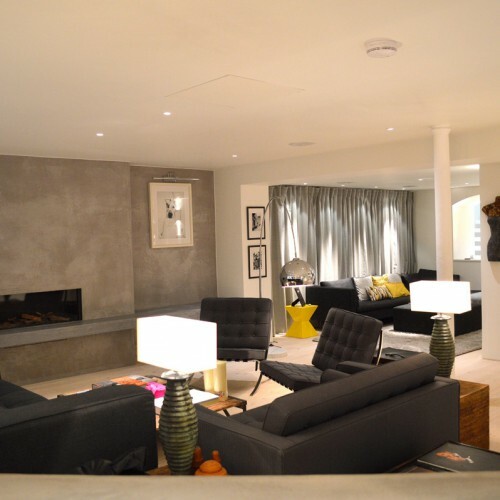 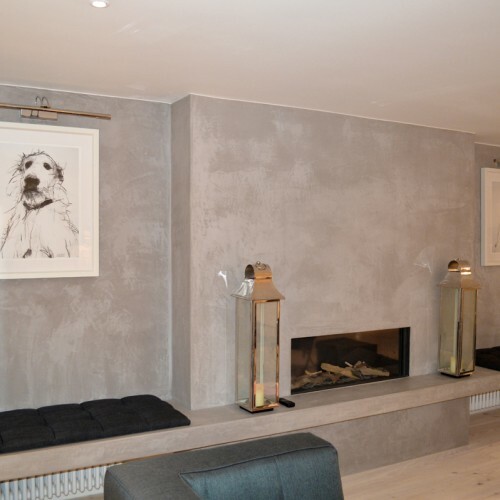 The lime plaster provides a long-lasting and timeless wall covering. 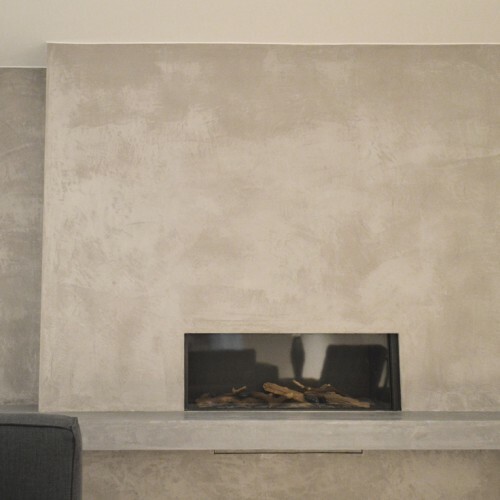 This project also includes a steam room, where the waterproof plaster allows for easy clean up with its seamless surface and naturally mould resistant nature.